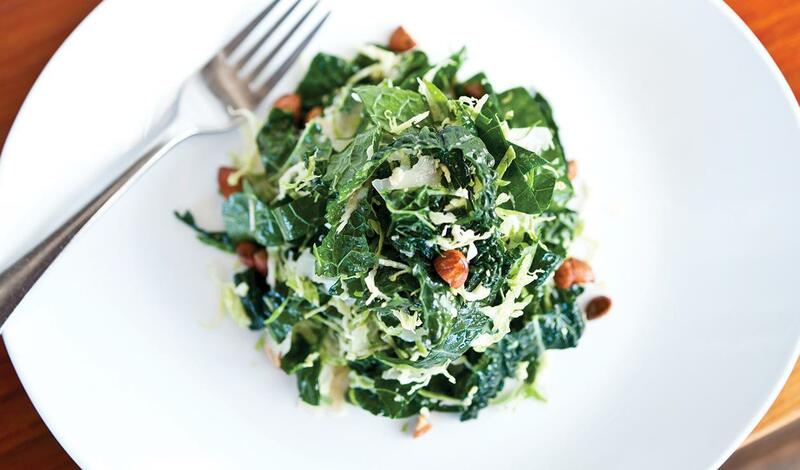 A winter salad of crisp collard greens are massaged with a lime vinaigrette and tossed with walnuts and parmesan. Whisk capers, oil, lime juice, parmesan and crushed peppercorn in a large bowl. Season with salt. Add nuts and greens to bowl and gently toss to coat. Use your hands to massage the leaves to bruise and slightly wilt.